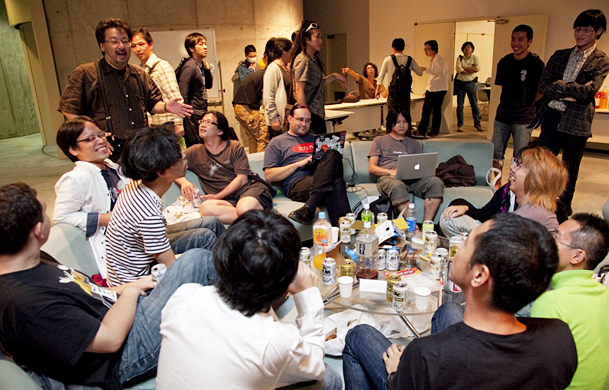 We're quickly closing in on YAPC::Asia Tokyo 2011, it's just a couple of weeks away. At this point we'd like to tell you a little bit about the proceedings during 10/13 "the YAPC Eve". Traditionally, the YAPC Eve event is a somewhat informal meetup, where people just hang around at the hall while presentations are going on in the seminar room. We will be serving beverages (including beer). You can listen to the talks or just hang around. Have fun! Note, we will also be doing pre-checkin for the main conference. Please go though check-in during this time to avoid congestion during the next morning!